Whether you have a busy day at work or a slow start and then lazy wandering around the city, it’s always important to start with the right foot, which can be a healthy, tasty and sometimes maybe a little decadent and bohemian breakfast. 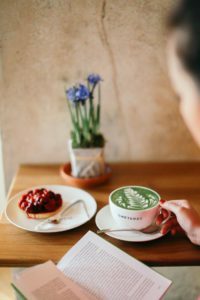 Do you spend your first morning moments alone, do you want to read and reflect on life and the world in peace, or is there a local or foreign visit you want to invite, or do you want to get your business outside the office and a little more informal? 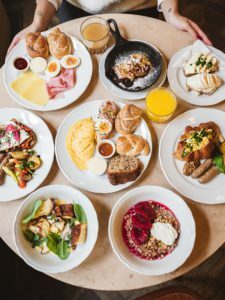 You don’t have to prepare anything by yourself and for the first-morning coffee and something sweet or hearty you can go to the proven Prague cafes, whose breakfast won’t definitely disappoint you and will be a pleasant start of the day and weekend. Pleasantly informal space is ideal for friendly meetings, literary debates or just an everyday chat. You can enjoy views of the bustling Prague streets and contemplate, for example, looking at the river and beyond the horizon. Refreshed with home-made desserts or something salty, be sure to explore the conceptual space offering work and artwork of original artists and the gallery. Why this place: local cakes, cookies, and coffees are practically asking for Instagram moments, but try to devote time to space itself and its artistic interior decoration. Who should join you: your friends, chat about new movies, books, relationships, and then continue with your duties. 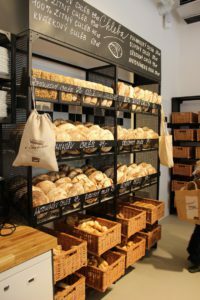 Warm, hospitable, fragrant environment, brisk staff, sweet pastries like grandma`s, several types of bread with crispy crust, traditional spreads along with tea or coffee. 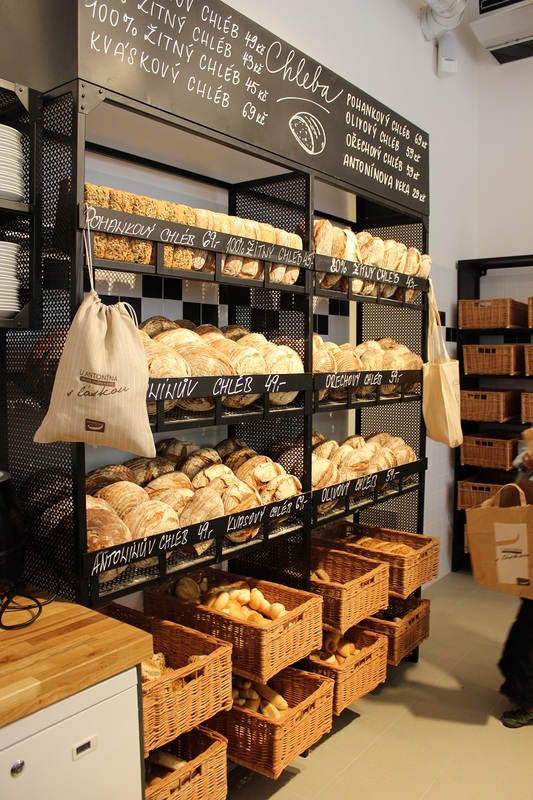 Antonínovo pekárstvo offers traditional bakery products at four locations in Prague, as well as several seating places, a friendly community atmosphere for a quick morning stop with friends or on the way to work. 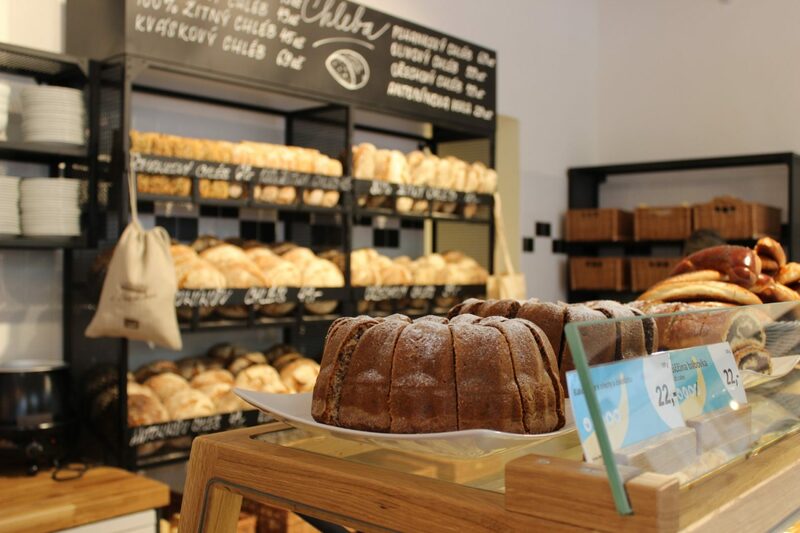 Why this place: Whether you want to try a real bread with a spread or sweet almond pastries, or buns like a fairy tale about Stupid Johnny, you will find all of it here. At the same time, you can watch the bakers in action because they are present in the same space. The bakery also offers a “community” board, if you are looking for something or offering, you can use these “old school” communication options. Who should join you: if you’re alone and in a hurry, you can buy bread and coffee to go. 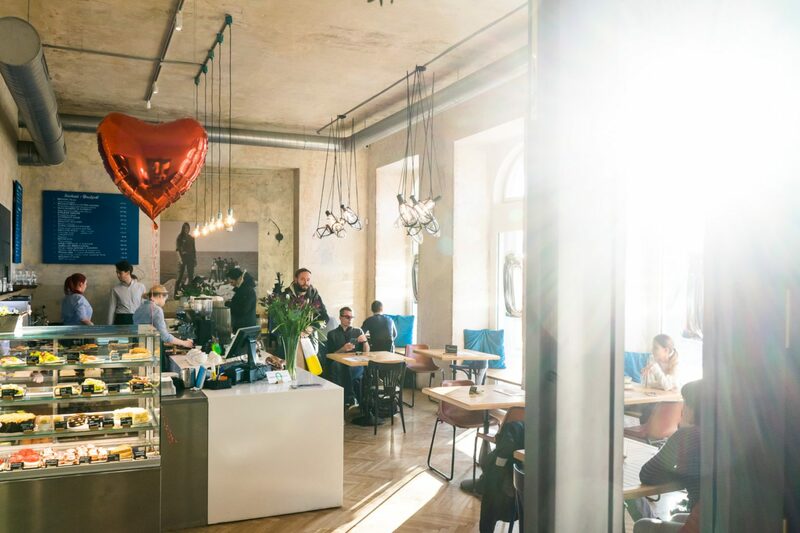 If you want to have a coffee with your neighbor, grab a quick informal coffee and quick news from life; if you are among the people, you learn the news and go back to your life, when you have a day to begin, visit the nearby Zizkov Tower and enjoy the views of Prague. 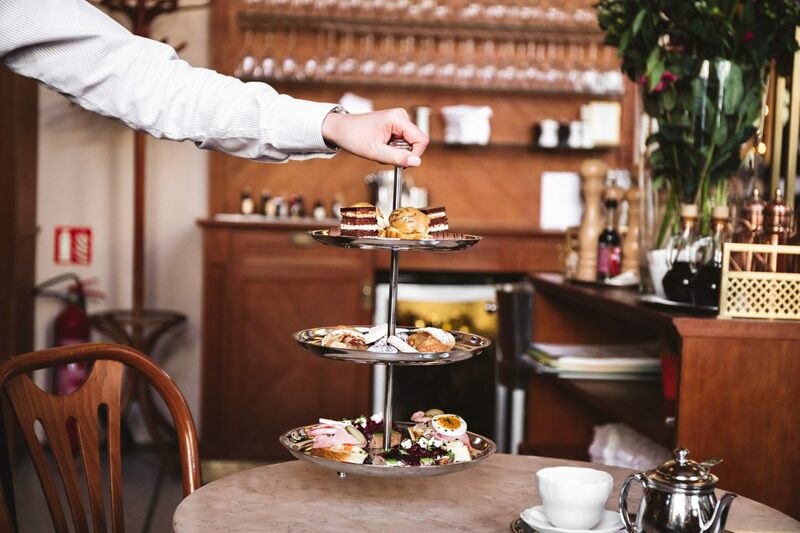 The café and restaurant will remind you of the golden times of the monarchy, and once again you will be brought to the times of good manners, functional rules and true culinary craftsmanship that is both art and everyday feast. Contemplate the world and life with a traditional breakfast menu offering eggs in many ways, energy-rich meals, and desserts. Why this place: the restaurant offers a really refined café culture, you will feel the good old days in it. 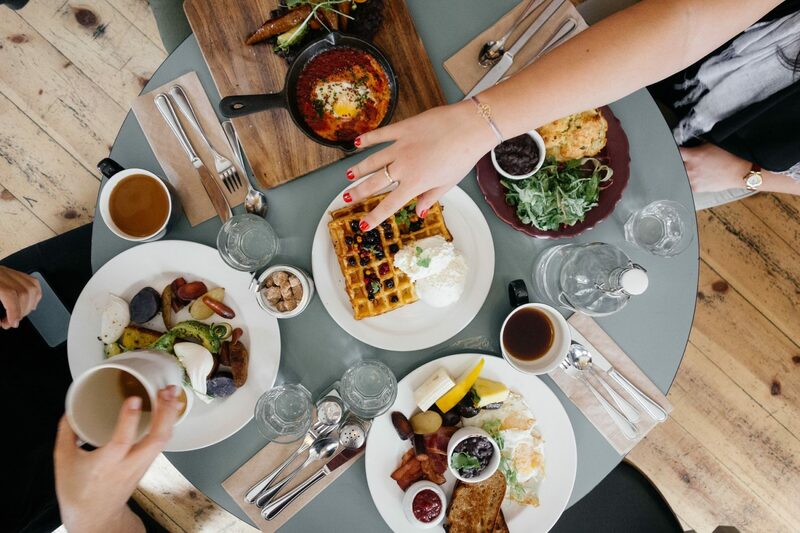 You can taste all the traditional types of breakfast, continental, healthy, full of energy, even slightly bon-vivant one. Who should join you: your grandparents, a foreign visit you want to show the Prague café elegance and a great menu. 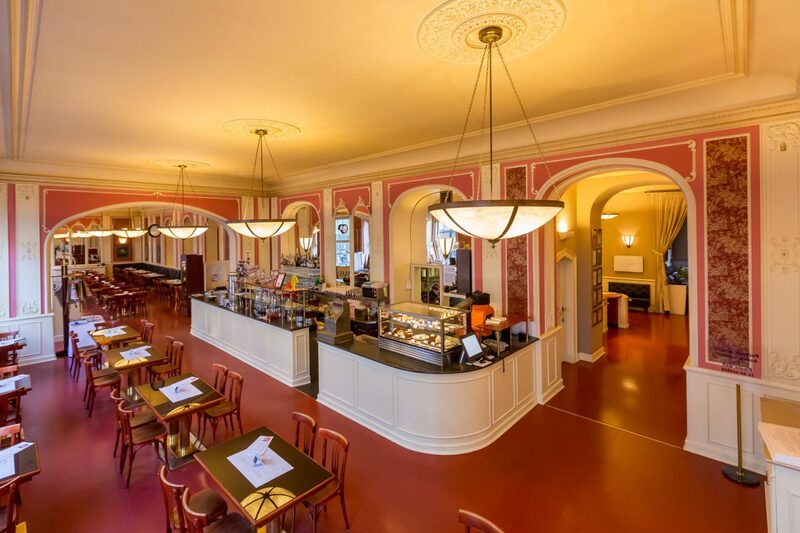 You can enjoy the interior (the café has been operating since 1893) and be attended by sophisticated staff. You can discover the beauty of the adjoining Malá Strana neighborhood after you have drawn energy. Located on one of Prague’s most important traffic arteries, the place where many historical twists occurred, it also offers excellent service, generous space and “world tour” breakfast sets so you can taste Nordic cuisine, traditional continental, and light bohemian breakfast. Why this place: unfortunately you can’t have breakfast with Franz Kafka anymore, but airy and open spaces can be used to recharge energy for the whole day. The bright interior also has positive vibes from the city. You won’t definitely regret tasting traditional desserts – cakes and pies. Who should join you: a colleague, a client, a media representative, if somebody wants to interview you, small lounges are the perfect place for press conferences and corporate presentations.